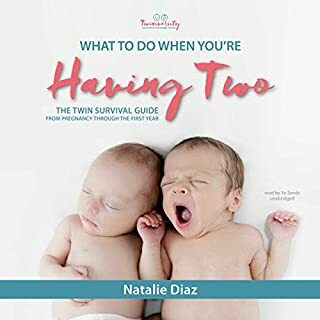 In What to Do When You're Having Two, national twins guru and founder of Twiniversity, and mother of twins herself, Natalie Diaz provides a no-holds-barred resource about life with twins, from pregnancy and birth all the way through your duo's first year of life. 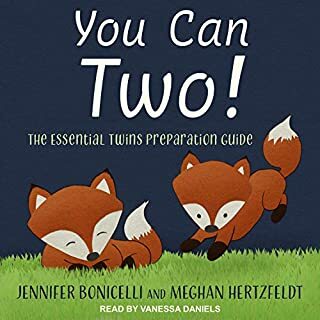 Funny, reassuring, full of stories and advice, and packed with tried-and-true tips from the trenches, this is the must-have survival guide for parents of twins. We are expecting! The 20th anniversary edition of this thoroughly updated and revised parenting classic remains the most informative and reassuring book for expectant fathers everywhere. 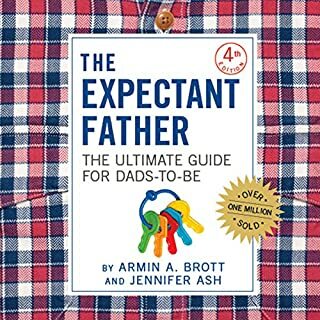 In addition to sharing the wisdom of the ages, Armin A. Brott, Mr. Dad, presents new insights into the emotional, financial, and physical - yes, physical - effects of impending parenthood on men. 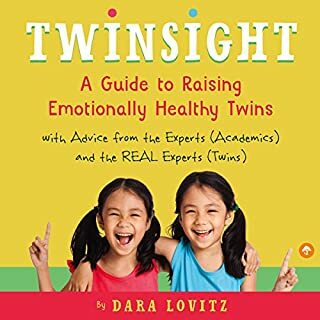 In the first book written on the emotional needs of twins, Twinsight: How to Raise Emotionally Healthy Twins bypasses the usual discussions on how to pay for two tuitions (a conundrum, to be sure!) and instead tackles deeper questions: How do you help twins feel like individuals? Should they be expected to be each other's caretaker? How can a parent avoid comparing? How can you encourage relationships outside the twinship? And more! Did you just find out you are expecting twins? Are you wondering what raising twins is like? Do you want to know what you can expect during pregnancy, delivery, and taking your twins home? By the time you finish this audiobook, you will know what it is really like to have twins. Not what people want you to think or what some doctor will try to tell you to expect, but from one twin mom to another, the true day-to-day expectations and realities of twins. very useful . covers enough information. If you’re a new mom of multiples, it can be hard to find advice and enough people in your life who “get it” or give you the support you need. Luckily, there’s Twin Set: for moms of twins, by moms of twins. 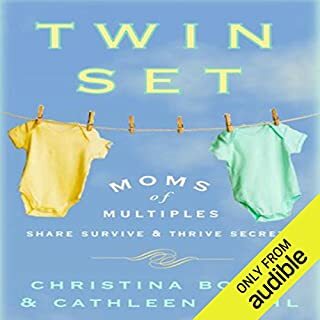 Twin Set provides a parent-to-parent support network—based on an exclusive national survey of more than 300 moms of multiples—and shares indispensable, mom-tested, solution-oriented advice...and a few laughs along the way. It's no secret that raising two babies at once has its challenges, but with the right preparation you can conquer fears for good. You Can Two! delivers essential information and practical prep strategies to get expecting parents ready for the joys of twinfancy. From mental and emotional prep to feeding, and everything in between, this action-oriented guide covers the broad spectrum of how to tackle the first few months after your babies arrive. The fourth title in Dawn Dais' popular parenting series, The Sh!t No One Tells You About Pregnancy is quite possibly the funniest and most heartfelt yet. After all, pregnancy is not all about scanning Pinterest for baby shower themes and registering for ironic onesies, and sometimes the less flattering aspects of gestation have a way of dimming a bit of that so-called pregnancy glow. Not to worry! Dawn is here, ready to shepherd you through the experience of one human body taking on the task of growing another human body. When you find out that you are expecting twins, you are in total shock. Your mind races with a million questions and you start to stress out about what to do to get ready. This guide will help you be prepared and ready to tackle life the next several months without having to wade through a lengthy book you don't have time to listen to. It is perfect for the expectant twin dad, whether your twins are your first and second children or ninth and 10th. 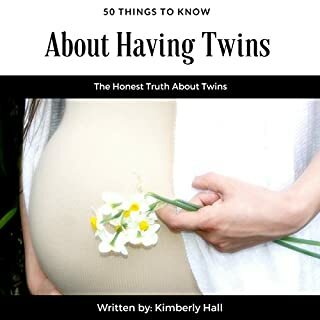 Listen to this guide and you'll uncover money-saving tips, understand your preparation options, and eliminate common surprises that accompany every twin pregnancy and the early days of newborn twins. answers to "How am I going to pay for all of this?" The only book Twin Dads need to read! What did you love best about Dad's Guide to Twins? Its a book meant just for Dads who are expecting Twins. There are not a lot of book on Twins in general, let alone for Dad. When you look at the audiobooks selection the numbers dwindle even further.Thankfully, this book exists. It allows expecting fathers of Twins to get a Dad's take on having Twins. For those of you who don't like reading, or don't have the time this auidiobook is the perfect solution. Now if the Author could only release his second book "Dad’s Guide to Raising Twins" in audio format we Twin fathers would be all set. The best advice before your twins arrive! What made the experience of listening to Dad's Guide to Twins the most enjoyable? Calming my nerves about having twins. These will be our first children and I'm really anxious and nervous about the whole thing. Listening to this definitely helped ease a lot of that. What was one of the most memorable moments of Dad's Guide to Twins? Reminding myself to relax, and convincing my wife that she won't be able to do every chore around the house while the twins are awake! The advise about getting them on schedule. I did laugh at times and might have almost cried towards the end. I am more excited than anything to start this journey. It was tremendously helpful in getting me prepared for the birth of our twins later this year. At times it did raise my anxiety about certain things, but at the same time it made me understand that I need to expect certain things to happen outside of my control. The biggest help was learning to relax and realize that I can handle this, along with a little help. I will definitely be referring back to it! 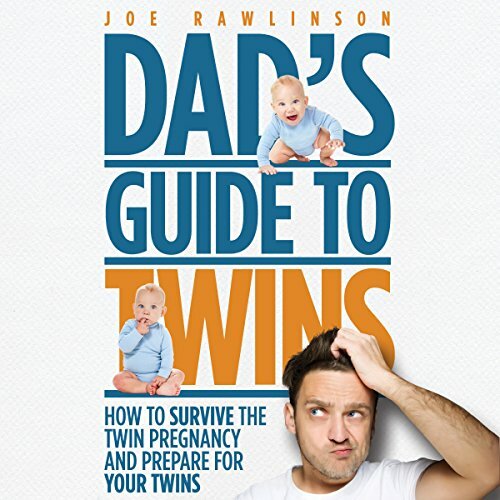 It’s a helpful read with lots of help and suggestions do things to do for dads to be of twins and probably most dads in general. It’s a great book and I’m sure I’ll listen a couple more times before our due date. The website is also great. It's practical without trying to be funny, but isn't dry either. Was a helpful listen. I listened to this book at least once or twice a month on my drive to and from work. I'm sure the twin experience will be unique for us all, but the advice here has been extremely helpful.